Die Farbtintenpatrone für Tintenstrahldrucker HP DeskJet 916c, 920c, 940C, 3820, 930C / cm, 950C, 959c, 960C, 970cxi, 980cxi, 990cxi / cm, 995c, 1220C, 1220C / PS, 9300, HP Color Copier 310, HP OfficeJet G55, G85, G95, K60, K80, V40, V45, HP PSC 750, 950, HP Fax 1220 HP Photosmart 1000, 1100, 1115, 1215, 1218, 1315. For shipping to other EU countries visit this page HP 78 Tri-color Original Ink Cartridge (C6578D). Chcete doručit zboží do Česka? Prohlédněte si HP C6578D č. 78 barevná. Chcete doručiť tovar na Slovensko? Prezrite si HP C6578D č. 78. Für Versand nach Österreich, besuchen Sie bitte HP C6578D Nr. 78. 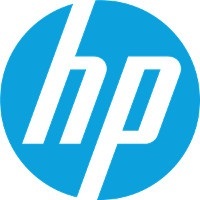 For shipping to the United Kingdom visit this page HP 78 Tri-color Original Ink Cartridge (C6578D). Magyarországra történő kiszállításért tekintse meg ezt a termékoldalt: HP 78 (C6578D).